Condo with nice crossing ocean breeze, 2 bedrooms, 2 bathrooms, 1100 sqft, Located in one of the most important developments in Tulum, this condo offers a nice deal for investment. 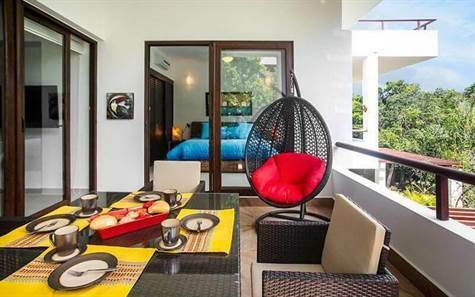 If you are looking to buy a property and rent it, this beautiful condominium has a Certificate of excellence from Airbnb, the amenities, the features and of course the vacation experience is guaranteed. ! !